Glass art can be beautiful and functional, or purely for our visual enjoyment. The potential of the medium is almost unlimited: I love experimenting with new ideas, and trying to bring something different to the finished piece. 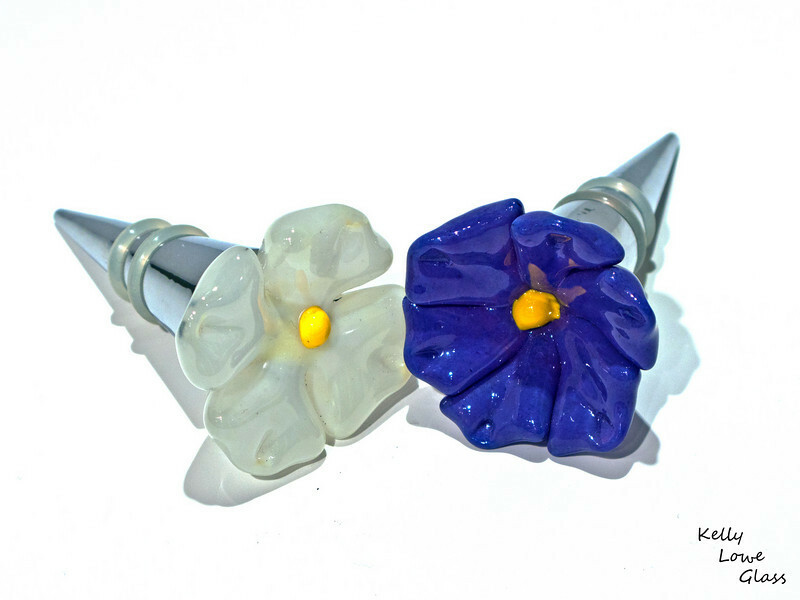 Sculpted glass flowers fitted to a wine stopper base - a unique, functional gift for those you care about, or a special treat for yourself.